← Two free e-cookbooks available right now! I’m in Atlantic City today, so I thought I’d post something amusing! Back to my regularly scheduled shenannigans soon! 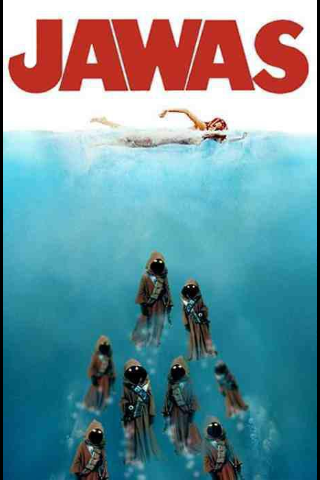 Posted on March 21, 2012, in Film, OMGHILARIOUS!, Random and tagged hilarious, jawas, jaws, star wars. Bookmark the permalink. 1 Comment. Lol! That was pretty amusing!! !